Even though it is unlikely that an emergency would cut off your food supply for two weeks, consider maintaining a supply that will last that long. If possible, have supplies that can last you and your family for two months or longer. Start by preparing for the most likely disasters, such as hurricanes and floods. If your budget allows it, you can then move on to prepare for the less likely disasters, such as prolonged periods without rule of law or doomsday scenarios. It’s recommended to store enough water to provide at least one gallon of water per person per day in an emergency. Water should be stored in a cool, dry place, without being exposed to direct sunlight. For maximum space efficiency, it’s recommended to store water in 55 gallon food grade barrels. These barrels can be stored outdoors in a shaded area if required. Popular products to help recover clean water from outdoor areas include lifestraws, water purification products, and rainwater collection systems. It’s recommended to store enough food to provide at least 2000 calories per person per day. Food should be stored in a cool, dry place, without being exposed to direct sunlight. 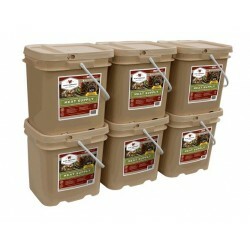 A convenient emergency food storage option is buying wise food storage grab and go buckets. These food buckets contain freeze dried food packages that are ready to eat once mixed with hot water. The shelf life of wise food storage buckets in a controlled indoor environment is 20-25 years. It’s recommended to store at least one portable camp stove with filled propane canisters for boiling water and heating food in an emergency. Other heat sources strong enough to boil water are also very effective options. Water storage containers pictured below. The plastic hand pump seen below is recommended for larger storage containers that hold more than 20 gallons. From left to right: 125 gallon, 55 gallon, 30 gallon, 15 gallon, 5 gallon. The Lifestraw can filter 264 gallons of water directly from streams, puddles, lakes and more. Removes practically all waterborne bacteria and protozoan parasites. The lifestraw cannot remove salt from water. Wise food storage grab and go buckets can store food for decades and are very space efficient. The Wise Company 2-Week Deluxe Survival Backpack features everything you need for one person to survive for two weeks or two people for one week. Everything from a Swiss army knife to freeze dried food, Wise Food Company has you covered. 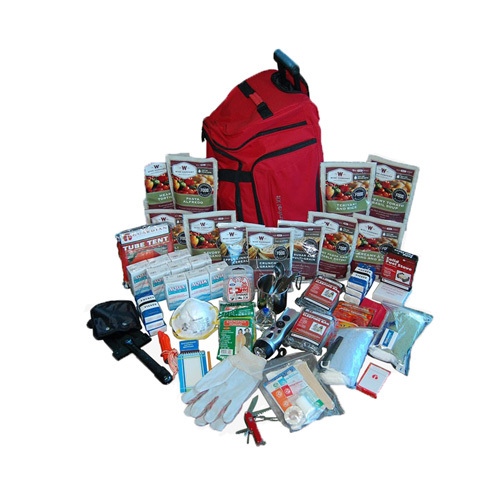 It’s recommended to keep a survival pack in the trunk of each of your vehicles and in the home for bug out scenarios. 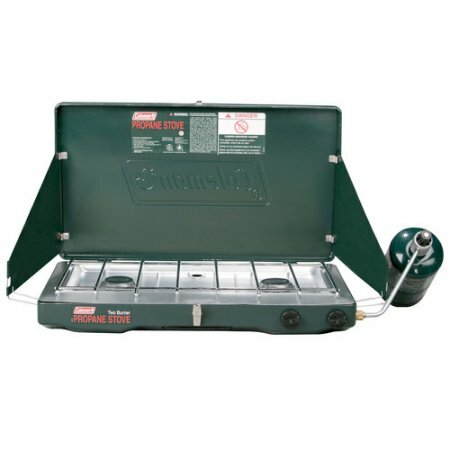 The Coleman camp stove pictured below is great for emergencies. It’s fueled by portable propane canisters.